Preheat oven to 350°F. Prepare the cookie batter according to the package directions, using the instructions for "drop cookies". Blend the cookie mix, butter and egg to form dough. Gently stir in the cranberries, white chocolate chips and walnuts (if using). 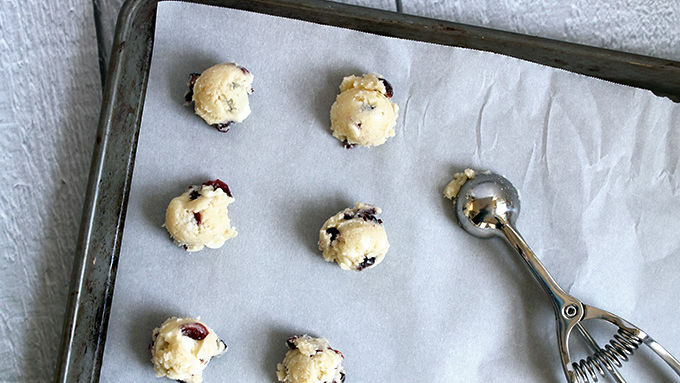 Scoop the dough by tablespoonfuls onto baking sheets lined with parchment paper. Bake one tray at a time for 10 to 14 minutes, or until the cookie edges become golden. Drop dough on the baking tray by flat tablespoons, not rounded, for better baking results. 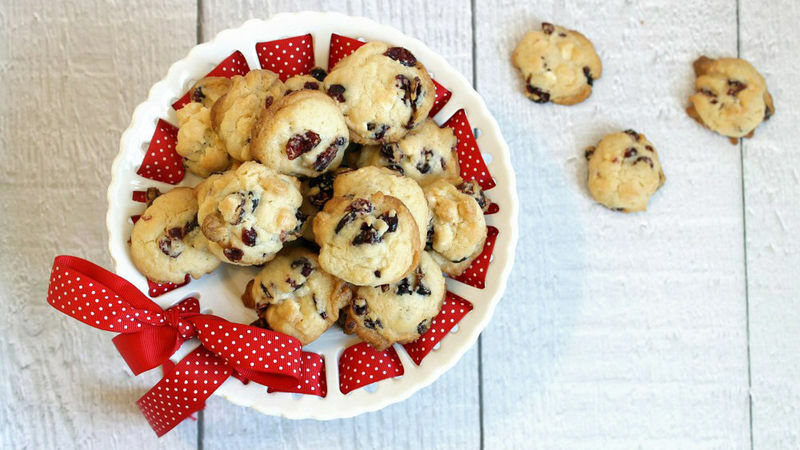 Cranberries and white chocolate make these easy Christmas cookies very special. So easy, you'll make them in minutes. So pretty and tasty, you'll bring them to a party! I love the holiday season because I have so much extra time on my hands. Wait, no. That’s not right. Scratch that. I love the holiday season except that I have no extra time on my hands. Hence, why I’m all about these cookies. They bring in the flavor of the season and they're special enough to serve at or bring to holiday parties – but they're also ridiculously easy to whip up. 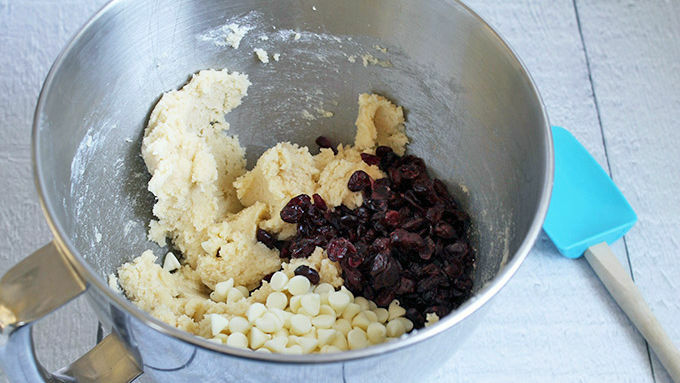 Pretty much all you need: Betty Crocker sugar cookie mix, a cup of dried cranberries and some white chocolate chips. If you like, add some chopped walnuts. Let them cool, bring them along to your parties, and watch them disappear!